Spanish For Social Change: looking to improve your conference interp skills? looking to improve your conference interp skills? 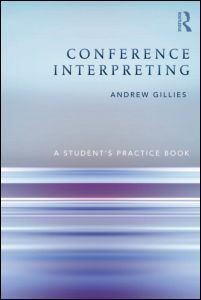 There is a new resource book out: Conference Interpreting: A Student’s Practice Book (Routledge, 2013) by Andrew Gillies. Check out this *glowing* review of it, which I was pointed to by the fabulous intersect newsletter.